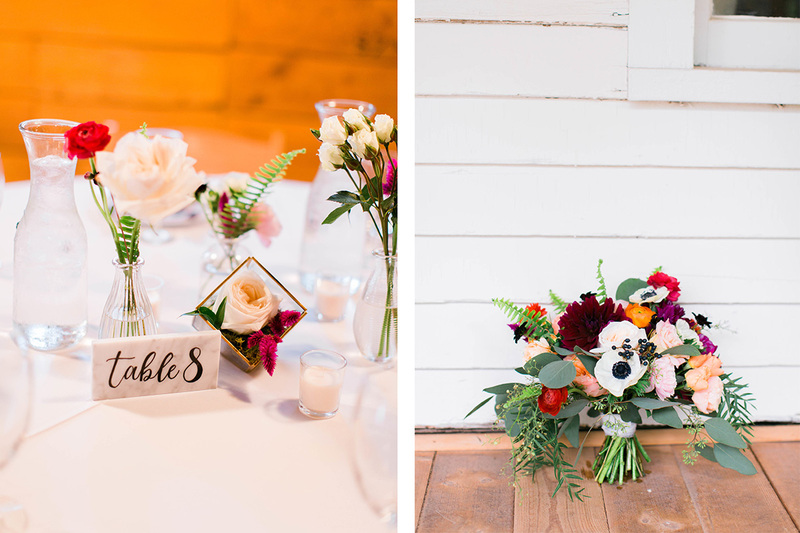 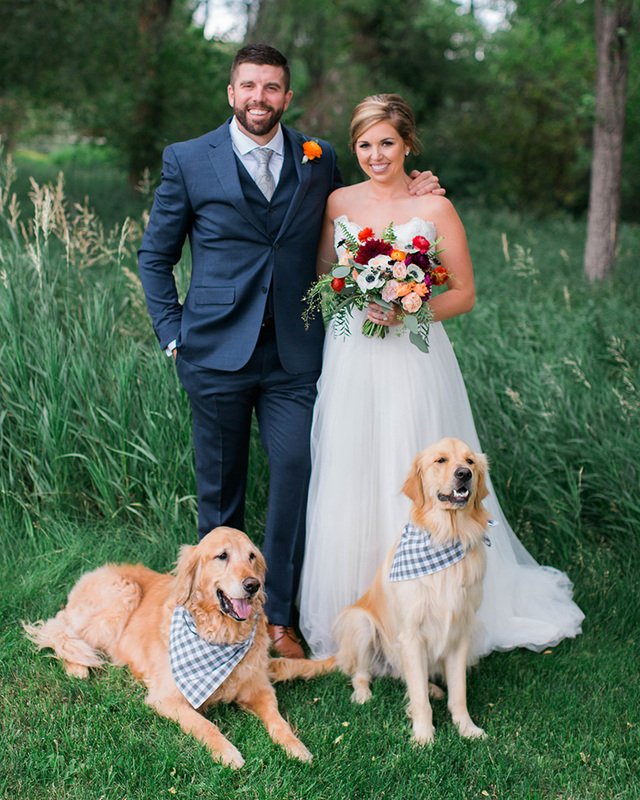 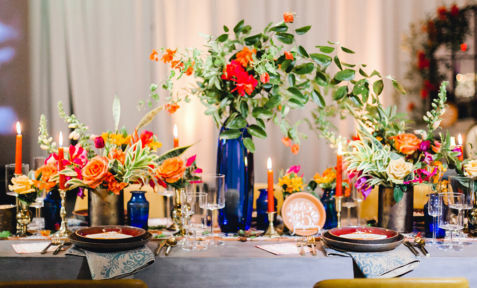 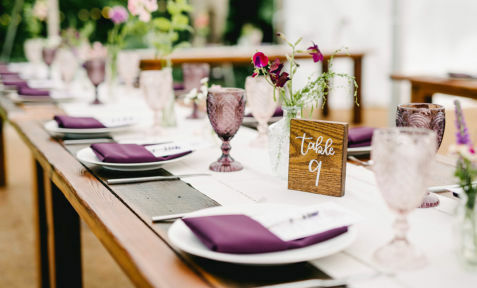 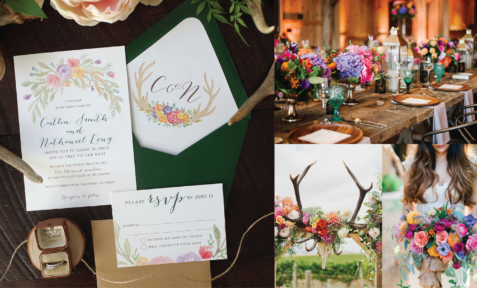 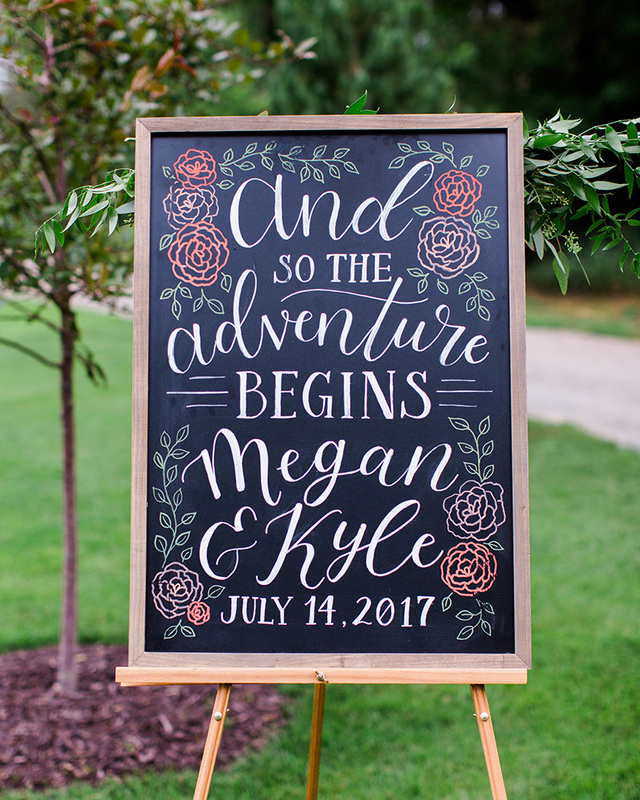 For their big day, Megan & Kyle kept things simple but colorful, to let the rustic vibe of their farm venue shine through. 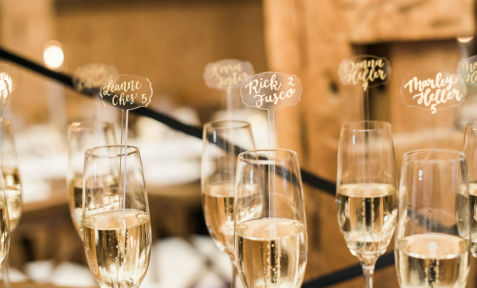 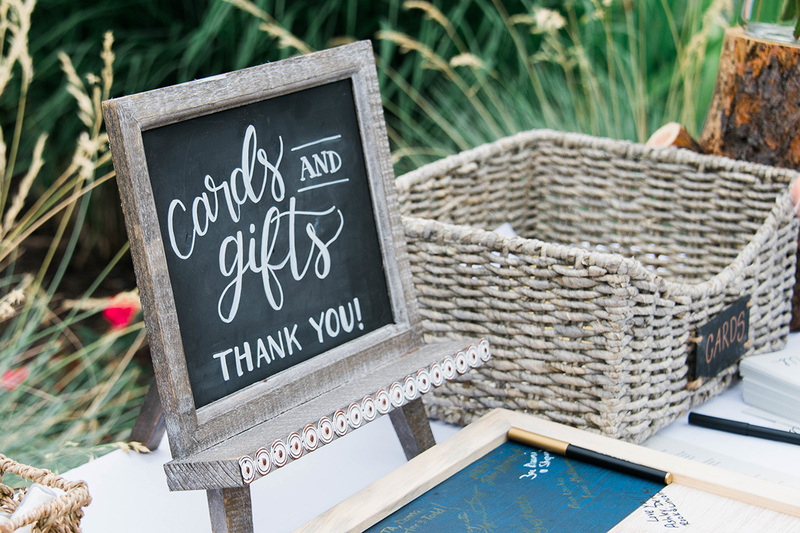 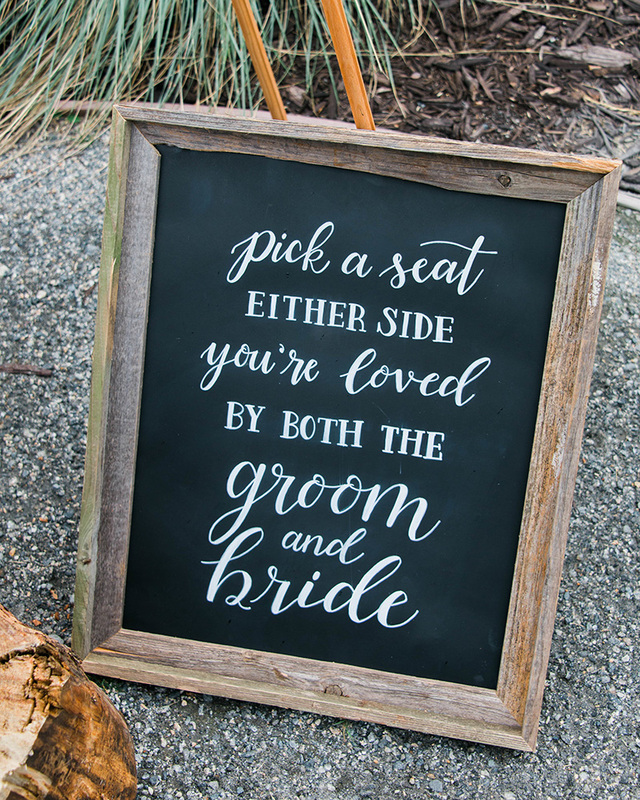 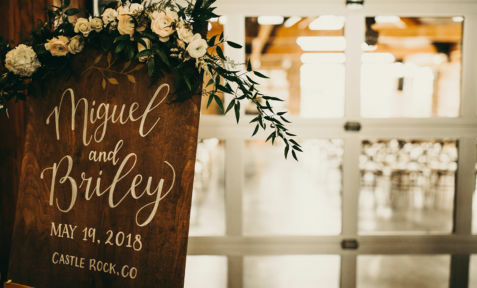 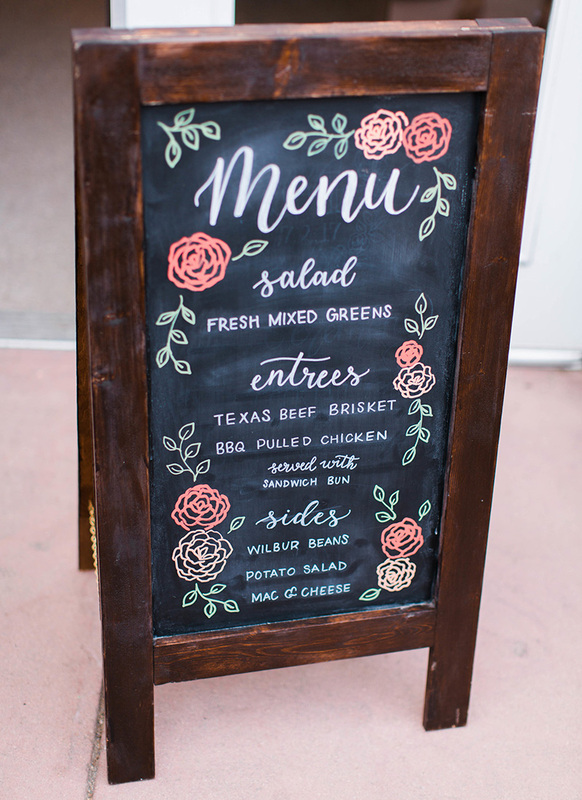 We hand lettered loads of chalkboard signage goodies for their wedding day to add a vintage and fun spin to their day-of decor. 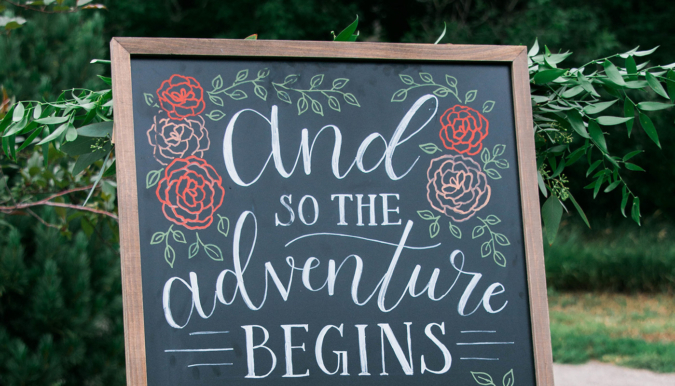 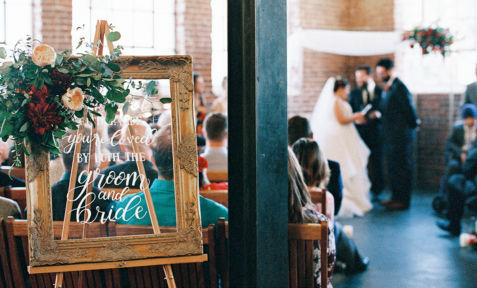 My favorite pieces was their colorful wedding welcome sign, perfectly fitting of the wording “And so the adventure begins.” This piece was complimented with a matching folding chalkboard menu for their dinner buffet. 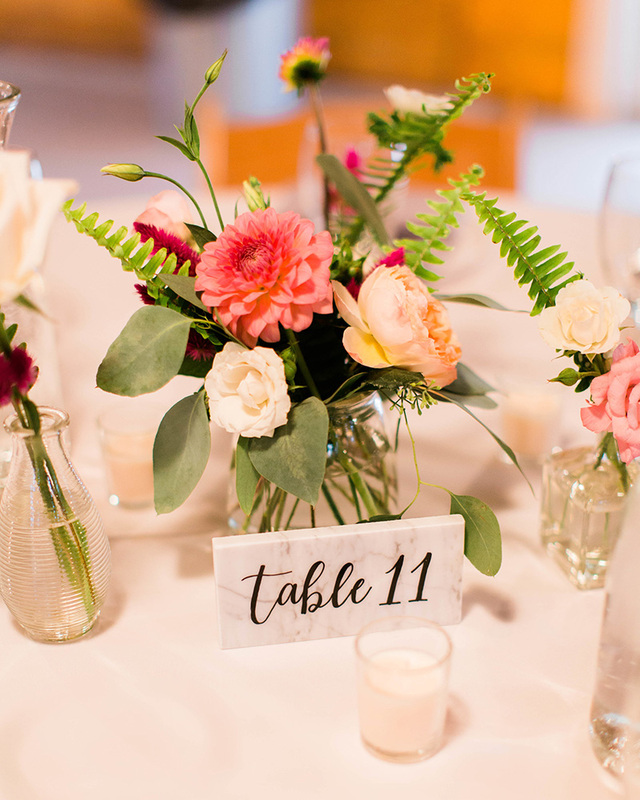 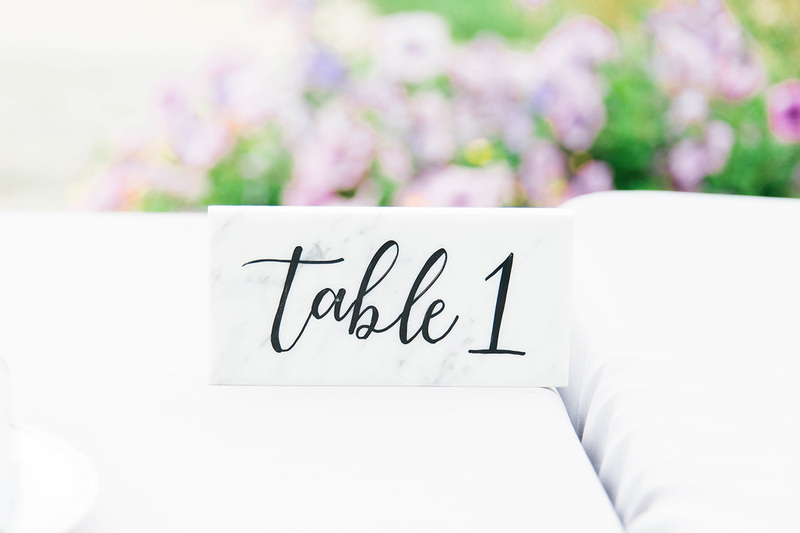 Along with a few other small chalk sign pieces, Megan & Kyle also rented our marble table numbers to mix up the chalkboard components with something a little more of a modern farmhouse vibe. 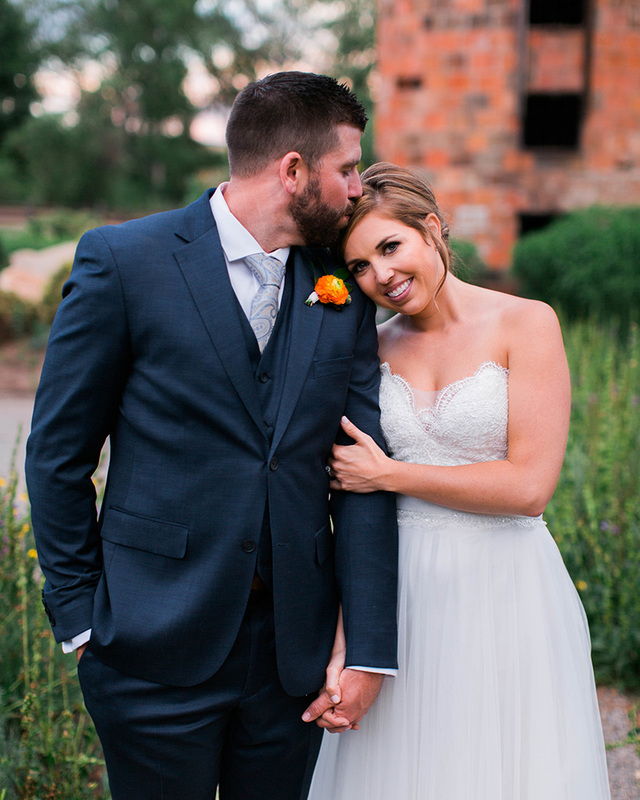 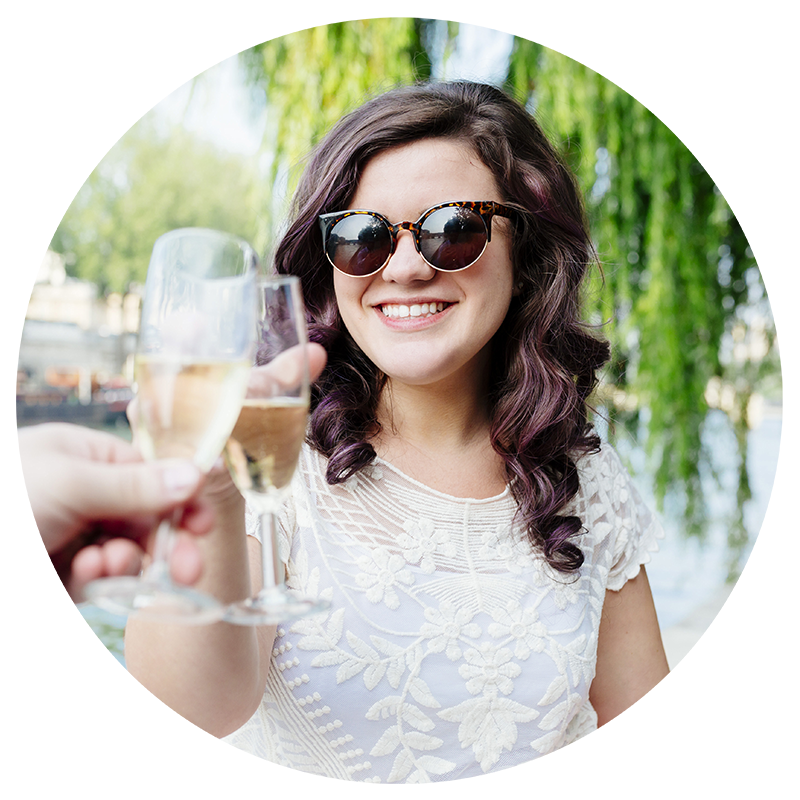 Congratulations to this adorable couple – enjoy the adventure lovebirds!